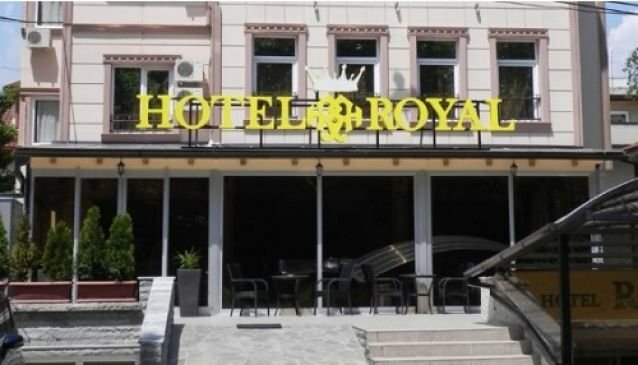 This modern hotel is situated near the centre of Skopje in tranquil area, yet with easy access to many city institutions, tourist attractions, exclusive restaurants and bars as well as to the various luxury shopping malls. Its elegantly designed Standard and Deluxe Rooms are with modern interior and equipped with cable and satellite TV, coffee& tea making facilities, air condition, mini bar, free wireless internet, desk area and luxury bathroom. Its guests have at their disposal 24 hour service and wake up calls. The restaurant, the cafeteria and the conference hall are also one of the many facilities of the hotel, which makes it one of the dominant in Skopje and its surrounding. The professional staff will complete your stay with its excellent service and warm hospitality.